lol! not gonna lie, i stared at this image for maybe 5 seconds trying to see what was special about it. 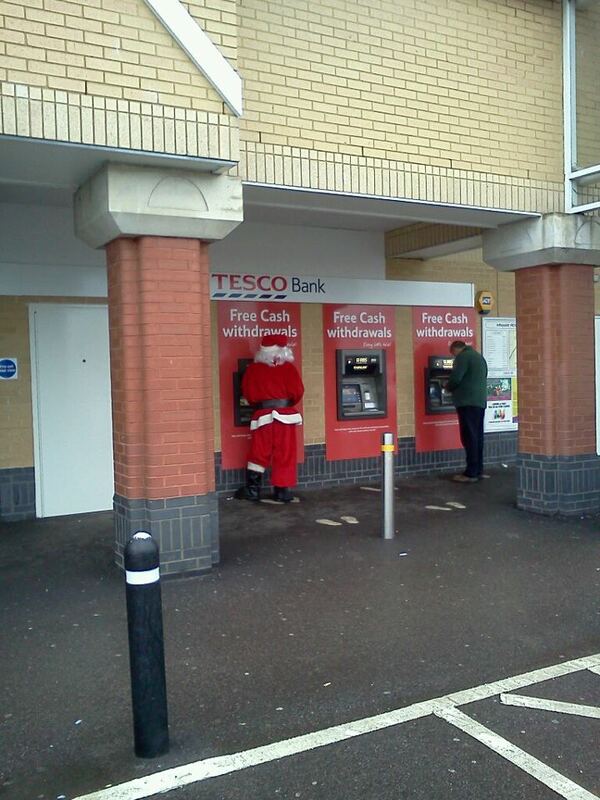 the red of santa’s outfit blended into the red behind the ATM machine! Haha! This is so funny!